Further hits from insurance misselling pushed the UK bank into the red again in the first half. But underlying trends remain sound: bad debts are falling and the margin outlook hasn’t worsened. 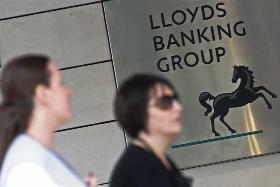 Plus the government’s new loan support scheme may help both Lloyds and the British economy. Lloyds Banking Group on July 26 reported a loss before tax of 439 million pounds in the six months to June 30, compared to a 2.3 billion pound loss in the same period in 2011. The loss was driven by an extra 700 million pound provision in the second quarter to cover expected compensation claims connected to the mis-selling of mortgage insurance. Overall, the bank has now set aside almost 4.4 billion pounds to deal with so-called payment protection insurance claims. Lloyds’ net interest margin fell to 1.93 percent, down 19 basis points compared to the first half of 2011, but in line with anticipated shrinkages caused by higher wholesale costs. The bank’s overall impairment charge was 3.2 billion pounds, down 42 percent on the figure recorded in the first half of 2011. The bank has not changed its forecast of flat UK GDP in 2012, with a progressive recovery in 2013. Assuming this occurs, it expects the 2012 impairment charge to be less than previously thought. Lloyds said non-core assets had now reduced to 118 billion pounds, ahead of expectations. It also reported deposit growth of 6 percent and a 4 percent increase in net lending to small- and medium-sized businesses. The bank now expects non-core assets to reduce below 70 billion pounds by the end of 2014, when they will be folded back into the main group and cease to be non-core. Lloyds shares initially fell 1.9 percent on the morning of July 26 but recovered to 29.5 pence, up 0.9 percent.